Prior to use, be sure to shake well. 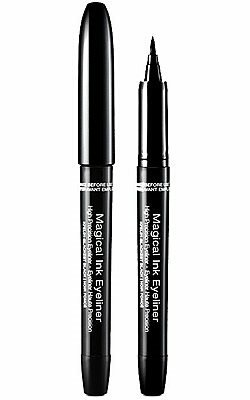 Begin at the inner eye lid and carefully drag Kiss Magical Ink Felt Eyeliner across to outer eye lid as close to eye lash as possible. Apply product thickness as desired to achieve specific looks. Works better than my Tarte eyeliner and it's cheaper. The lines are very clean and it doesn't bleed.